Papillon Bleu UK: Let's make a wish! 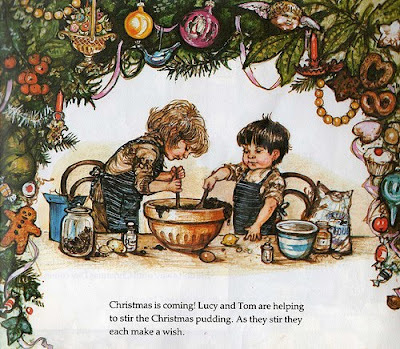 Thank you Stel.la for this lovely illustration by Shirley Hughes sent to me this morning. So, like little Lucy and Tom, let's all make a wish on this Christmas eve 2009! I thought it was Shirley Hughes! She has a distinctively lovely style. I make a wish for you to have a Happy Christmas! Many good wishes for you and everybody...! I found your blog through 1st Floor Flat. It is absolutely charming! I loved your story/video of Chloe and her Little Drummer Boy. You are so talented. Have a wonderful Merry Christmas. Thanks to you all my dear blog friends!